Somehow October came and went and now people are already in the midst of planning Thanksgiving menus! We even had snow on the ground this morning, and according to my Instagram feed, we weren’t the only ones. Mother nature isn’t wasting any time. So who’s in charge of the rolls this year? If you want to know how to win friends and influence people, make this butter to go with them. If you’re serving a crowd, multiply it by 100. Or 4, or whatever. 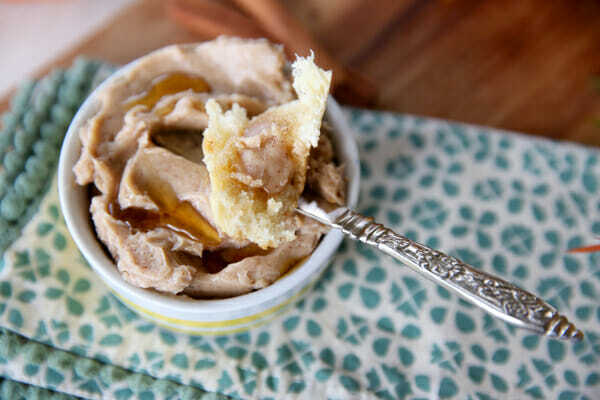 It’s amazingly easy, and makes everything it touches taste like a maple doughnut. Enough said. Start with real butter- absolutely no exceptions here. 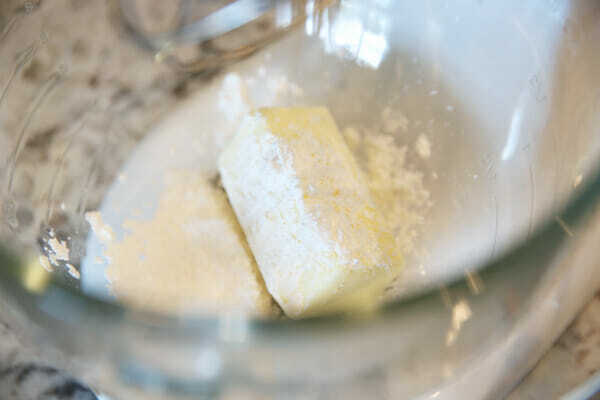 And one of my secrets to fluffy, sweet compound butters: a little powdered sugar. And when I say maple syrup, I’m talking about the good stuff. 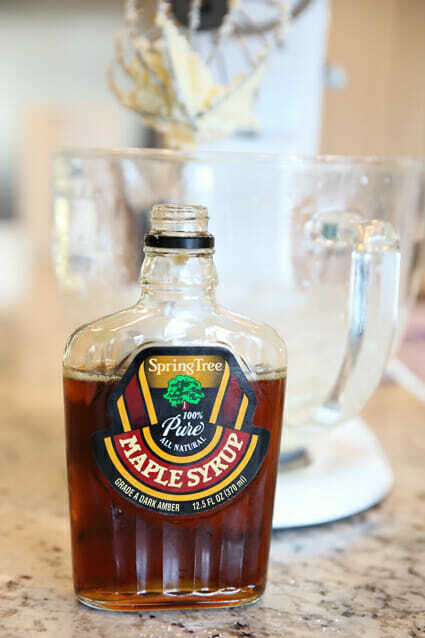 There’s a time and a place for Mrs. Butterworth’s, but I always recommend keeping a bottle of 100% pure maple syrup, which is significantly more expensive, on-hand for recipes. 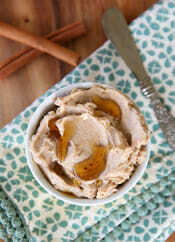 We’ll also add in some ground cinnamon and if you have some, a little pumpkin pie spice too. 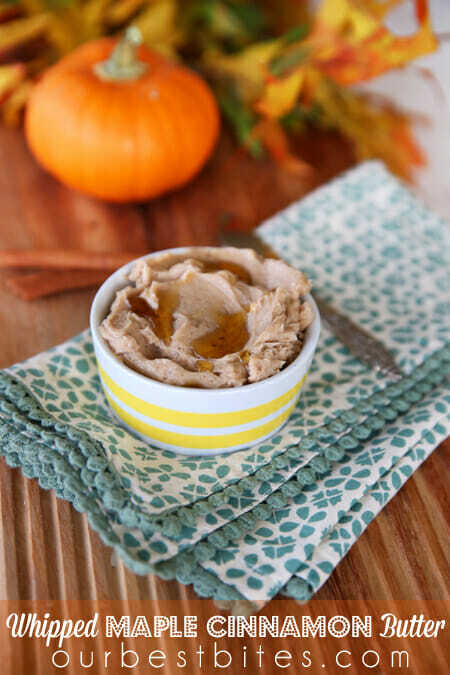 If you don’t have pumpkin pie spice, you can leave it out, or add in a dash of nutmeg and/or cloves. Then beat, beat, beat, with the whisk attachment on a stand mixer, or a regular hand mixer. One of the tricks of getting really light and fluffy butter is to whip lots of air into it, so let it go for a good minute or two. Now, you don’t have to add maple extract. If you don’t have any already and don’t want to buy it, it’s not a big deal. But if you have some around anyway, I add just a little bit for an extra punch of maple flavor. You might want to sample your butter and decide if you want to add it. 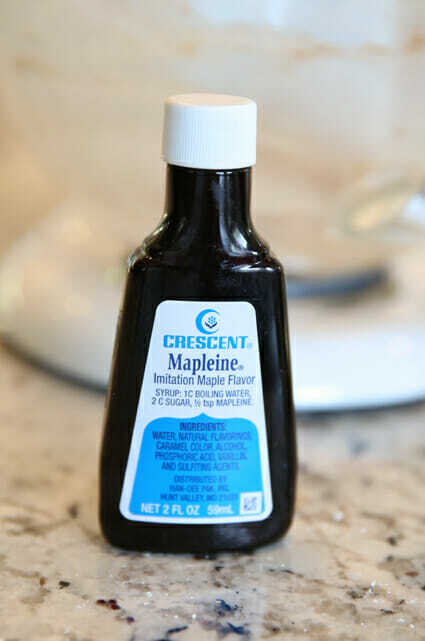 When it’s all whipped up, place it in a container, and I like to drizzle a little maple syrup on top for serving. It’s crazy out-of-this-world good on hot rolls. Also delish on cornbread, toast, french toast, pancakes, waffles, etc. When it melts into something warm, it’s like pure magic. 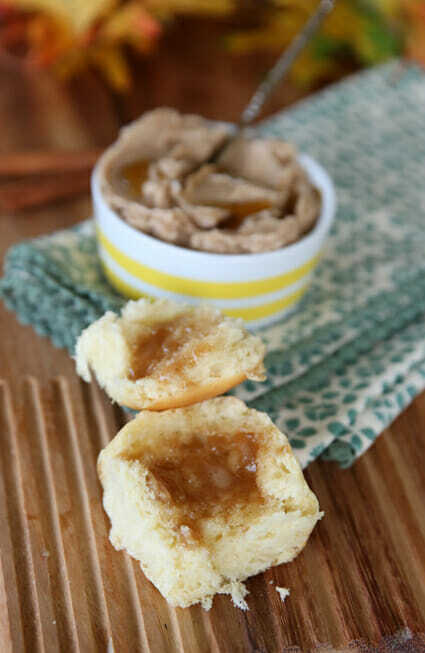 Great for hot rolls, cornbread, toast, french toast, pancakes, waffles, and more, this tasteful butter is easy to whip up, and oh-so-versatile. 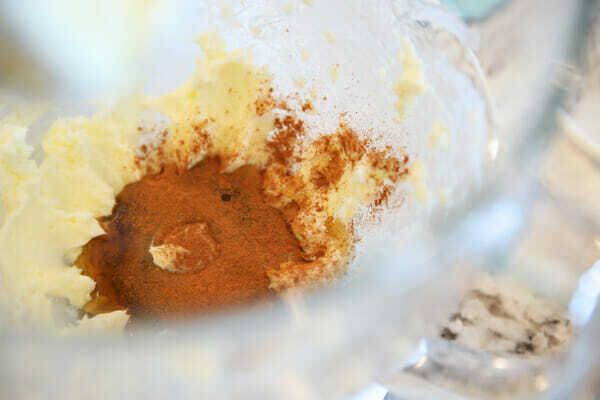 Place butter and powdered sugar in a mixing bowl and beat (with a hand mixer, or the whisk attachment of your stand mixer) until combined and smooth. Add maple syrup, cinnamon, pie spice, and extract. Beat slowly until combined and then whip for 1-2 minutes until light and fluffy. 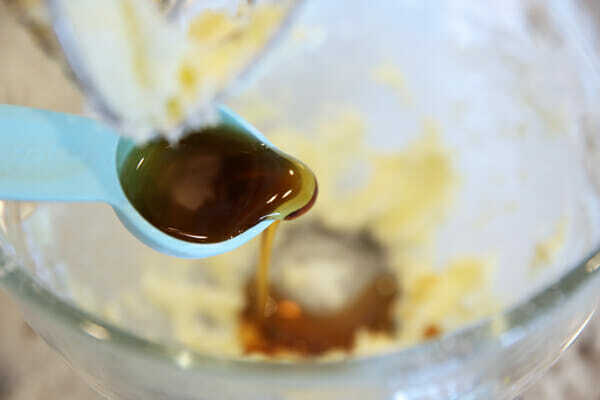 Serve at room temperature and drizzle with maple syrup before serving. If you’re making ahead of time, store in fridge, but allow time to bring to room temperature before serving. For best results, stir or re-whip before serving. Lasts for about a week or so in the fridge, several months in the freezer. This looks like something I could easily and quickly make after having foot surgery for our Thanksgiving dinner! 🙂 LOVE your creativity and recipes… thanks so much! At my house…. your Pin It buttonw aren’t working properly. However, this butter looks amazing. I will HAVE to buy some “real” syrup. That brown butter looks positively awful. Something not right about brown butter!!! MMM. This looks heavenly. 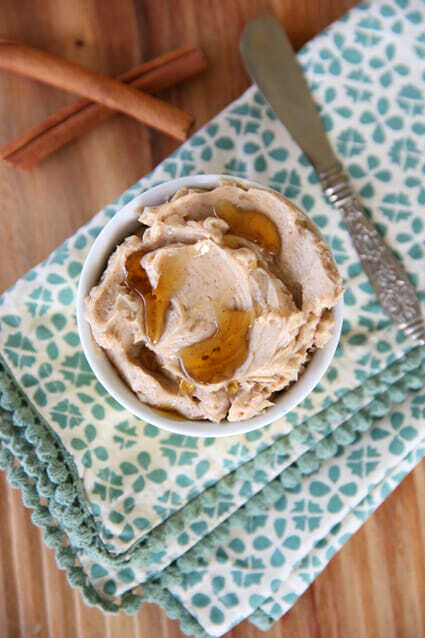 My kids are addicted to the Chef Shamy butter – maybe this will take it’s place! Thanks for the great recipes! You are making me hungry just looking at the pictures and I just ate breakfast. Just wanted to let you know we served this butter along with your recipe for garlic herb butter at my daughter’s wedding this weekend along with a variety of breads and soups and it was a BIG hit! Thanks! This is one of my new favorite things. I eat it on pancakes and there is no need for syrup. Yum. 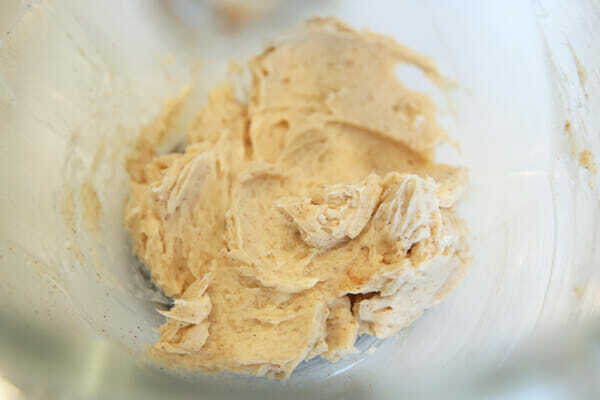 I’m hoping to use it as a replacement for the maple frosting on my favorite pumpkin maple cookies. I actually left the powdered sugar out and while the butter wasn’t real whipped it tasted awesome.